It is not every day that a Wall Street bank finds itself in possession of a chunk of land 50 times the size of Manhattan, covered in pristine forest, windswept grassland and snow-capped mountains. But that's the position Goldman Sachs found itself in, in 2002 when it bought a package of distressed debt and assets from a US company called Trillium. The resulting conservation project in the very south of Chile has been hailed by the bank and its partners, a US-based NGO, as an example of how the public and private sectors can work together to safeguard the world's last remaining wildernesses. Chilean environmentalists are more sceptical but, even so, have largely applauded the project. 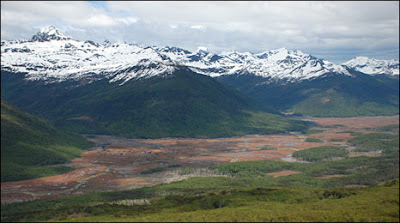 The story of what is now known as the Karukinka nature reserve dates back to the 1990s when Trillium bought land on Tierra del Fuego - a cluster of inhospitable islands between Chile and Argentina - clinging to the southernmost tip of South America. The company planned to use the land for logging and wanted to cut down the lenga - a type of beech tree found only in this part of the world. Environmental groups opposed the project and it eventually failed. That was when Goldman Sachs stepped in, buying up Trillium's assets, including the land. "It's not often that you're in a position where you buy a security and learn that you have 680,000 acres of land in Tierra del Fuego," says Tracy Wolstencroft, head of Goldman Sachs' Environmental Markets group. "The more we realised what we had the more we realised how unique this property was." The bank considered selling the land but realised it would face the same opposition as Trillium had. So it took what some environmentalists now regard as a radical and enlightened step - it gave the land away to a New York-based environmental group, the Wildlife Conservation Society (WCS). This is quite an amazing story, I never realised that a Wall Street company would actually do that. I suppose that blows my cynicism out of the water!